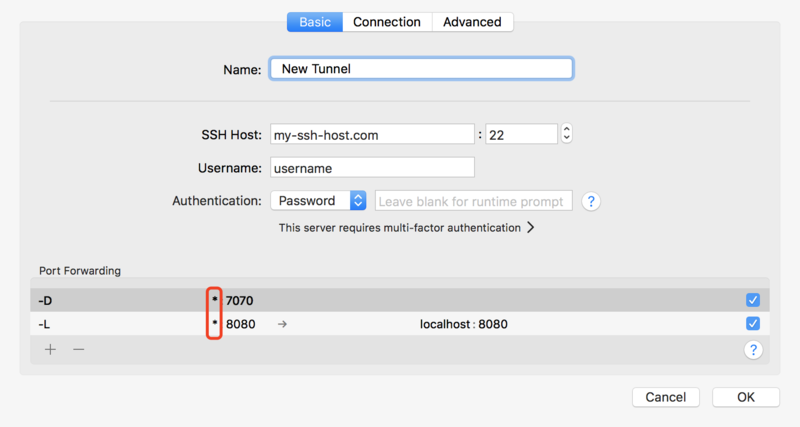 For security, other computers in local network are unable to access the port forwarding created on your Mac by default. But sometimes you may want to share the tunnels within trusted network. Then all other computers in the same network could use your tunnels through the LAN address or hostname (Yangs-Macbook.local in my case). ⚠️ Use this feature carefully, and make sure you are in trusted network.